Like many a late-nineties baby, I grew up in a glorious era of PlayStation, and when Lego Star Wars came out, well, it was life-changing. This utterly fantastic, peerless game (which was first released in 2005, and man do I feel old admitting that) was so much more than just a passing phase. It became a permanent fixture in our household, played before school, after school, after dinner, at night, and then again the next morning. As if we couldn’t get enough of looking for hidden minikits, achieving True Jedi with several thousand studs and gleefully blasting Lego villains into satisfying little pieces, it was followed by the release of Lego Star Wars II: The Original Trilogy the next year. This was about as good as sequel video games get, retaining its integrity as a member of the Star Wars franchise while upgrading important details like the quality of speeder on offer at Mos Eisley Cantina. Since then, there have been a shed load of Lego adaptations of film franchises: everything from Batman to Pirates of the Caribbean, Indiana Jones to Lord of the Rings. But while they were all very good and playable, Lego Star Wars always held the top spot for me. 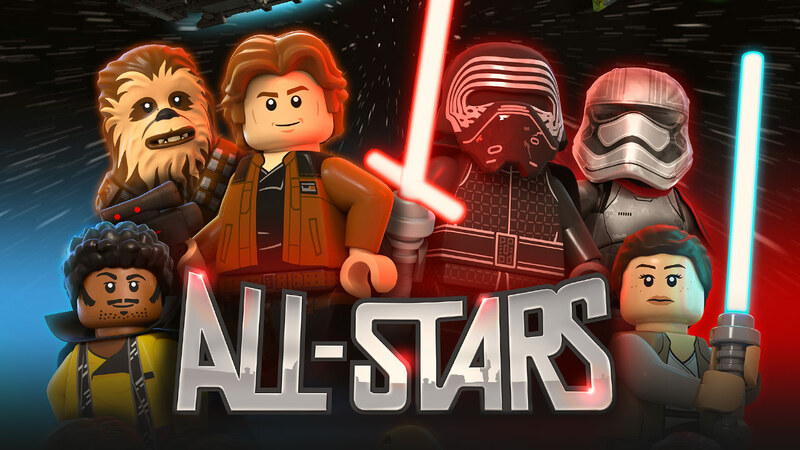 So, with all this in mind, I’m pretty conflicted when it comes to the release of Lego Star Wars: All-Stars, a new TV show that’s premiering on Monday, October 29th. For one thing, it’s showing on Disney XD, a channel that to me has always been a nauseating combination of flashing lights and color saturation aimed at goggle-eyed infants. But more importantly, this TV installment is yet another iteration of something that could have been left happily alone. Yes, Lego Star Wars itself is a spinoff from the original Lucasfilm franchise - but the games were an acceptable, even entertaining, pastiche. They were unique and fun, and no-one had done anything as cool at the time. The problem is that now the fat cats over at Disney are blatantly overcooking the recipe, turning a novelty into a daytime slot that will no doubt go over the heads of kids who don’t realize its significance. Sigh. I don't doubt that it will have good qualities. There is a good mixture of characters spanning all three parts of the saga, with Rey and Kylo Ren bumping shoulders with young Lando and...clones from Episode 2? It plows on, confidently carrying the tagline: “an epic space adventure that keeps on building!” There are also promising glimpses of dialogue from convincing voice actors and characteristically clueless villains being blown to smithereens. The investment is impressive and there will be five shorts aired this week, three additional shorts aired on Saturday 10th November, then four half-hour episodes showing between November 17 - December 8th. But despite all this (maybe I'm just getting old) I can't buy it. I wish they’d have left Lego Star Wars to the imaginations of kids back in 2005.